On March 28, 2017, CommuniGift became Daymaker. This post was published prior to that launch but is certainly a part of the wonderful journey that got us to where we are. 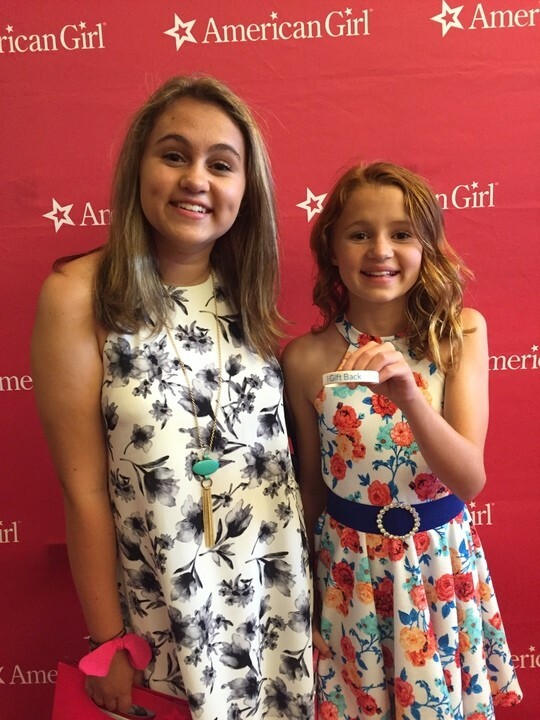 Maggie Elizabeth Jones, the star at Thursday night's premier of American Girl: Lea to the Rescue, flashed her wristband on the red carpet to signify her and her sister's new role as CommuniGift Ambassadors. You may recognize Maggie and Mary-Charles from the remake of Footloose, or as the lovable munchkins in Identity Thief. And of course we can't forget Maggie in We Bought a Zoo. They've certainly made quite a splash. At an early age, Mary-Charles demonstrated a proclivity for entertaining others. She has the ability to immediately connect with those around her. And little sister Maggie was cut from the same cloth. They've had the opporunity to work alongside some of the biggest names out there, all while staying incredibly grounded and true to who they are. We asked Mary-Charles, 14, about the work. Her response: “Did you know it takes 5 days to make one 30-minute episode of a TV show! ?” It’s fun work, but it’s challenging work, according to MC. That CBS show is the new fall comedy Kevin Can Wait , and we can't wait to see her in action! As ambassadors, the girls will help represent the CommuniGift Birthday concept and jump in on weekly creative meetings with the team. “We can’t do what we do without the input of those actually using the platform.” Co-founder Thomas Doochin “Also.. you think we know what’s cool these days? Please... we barely know how snapchat works." The Jones girls are forever creating. Whether it's a YouTube short, the new American Girl: Lea to the Rescue movie, or that new fall comedy... I guess you could say it ain't easy keeping up with the Joneses! "We hope you'll come and join us on this journey of giving back to kids in need with something as simple as a birthday party," said Mary-Charles. Sign up to stay informed and stay tuned for more details on the CommuniGift Ambassador program.